I’ve ridden Amtrak for decades now, and I can honestly say the service has degraded a great deal in the 20+ years I’ve ridden the train. I took the train across the continent in 2000, and it was an arduous experience; 13 hours behind schedule, missed connections, stopping in the middle of nowhere for hours at a time, and the several cancelled trains convinced me that Amtrak is not a viable travel option for anyone interested in actually getting somewhere on time. It was beautiful though, the lonesome plains, the Rocky Mountains, riding along the Mississippi River at dawn. From Chicago to Portland, and then down the coast to Los Angelese, it was an eye popping trip. Luckily I didn’t really have to be anywhere on time. In fact, the route I’ve ridden the most, the Ann Rutledge between St. Louis and Chicago, is notorious for running late. I came across this story a couple days ago, recounting the woes of traveling Amtrak across the country. Sounds like he had a similar experience to me. That said, it was an incredible experience, from the landscape to the people you meet on the train. I remember sitting in the observation car at 2:00 am, learning card tricks from a septugenarian magician on his way to Minot, North Dakota. And standing on the back of the train, looking across northern California dawn from an open doorway with the cigarette smokers. This entry was posted in Travel on 07/20/2008 by Thomas. Check out this video of a Lufthansa A320 trying to make a landing during a windstorm with winds in excess of 56 mph. The jet is buffeted around horribly, and as the airliner touches down a gust wrenches the plane violently, almost sending it hurtling off the runway. Miraculously, the pilot managed to pull up safely and avoid turning the airplane into a flaming fireball. The plane’s wing actually grazes the runway during this close encounter. Here is a story on this incident from Der Spiegel. Wow, really makes me not want to fly anytime soon. That aborted landing is gut wrenching. This entry was posted in Travel on 03/04/2008 by Thomas. This entry was posted in Paddling, Travel on 02/21/2008 by Thomas. Not only do they make nice watches and tasty chocolate, the Swiss are also pretty darn good and making fallout shelters. Seriously big fallout shelters. One of those weird things you rarely hear about, but apparently Swiss law requires fallout shelters on new homes. And the municipal governments provide mass fallout shelters as well – visions of underground bunkers, full of Swiss morlocks making watches and explosive chocolates for the Mad Max overworld come to mind. This entry was posted in General, Tech, Travel on 04/12/2007 by Thomas. California officials are eyeing a high speed rail connection between San Francisco and San Diego, using France’s TGV locomotives. Cool idea, but I wouldn’t ride it. I’ve seen how Amtrak operates and I know there would be a catastrophic derailment within a week of that train beginning service. At least the French now how to operate it. The TGV made a new speed record for railroads today. This entry was posted in Environment, Tech, Travel on 04/04/2007 by Thomas. Just got off the phone with David in Palau. He’s waiting down in Melekau with a large crowd for the arrival of the Hokule’a and the Alingano Maisu into Palau. The two sailing canoes left Yap on Friday and are expected to arrive any minute now. Apparently there was something here on Guam for some sailors heading down to relieve the crews in Palau last Friday. I didn’t get word until late that evening though, so I missed out. It’s sad, but I’ll survive. Now I need to go batten down the hatches for this storm’s approach. This entry was posted in Paddling, Travel on 04/01/2007 by Thomas. A pair of Hawaiian sailing canoes, the Ho-kule’a and the Alingano Maisu reached the island of Satawal yesterday. The Alingano Maisu is a gift to Mau Piailug, the navigator who taught his skills to the Hawaiians and reintroduced traditional navigation to the Hawaiian Islands. The Hawaiians left Oahu in mid January, and battled stormy seas, constant rain and contrary winds to reach Satawal. After the presentation of the canoe to Piailug, the Ho-kule’a will continue on through Micronesia, visiting Palau and Yap, before heading to Japan to celebrate that country’s strong ties to Hawai’i. 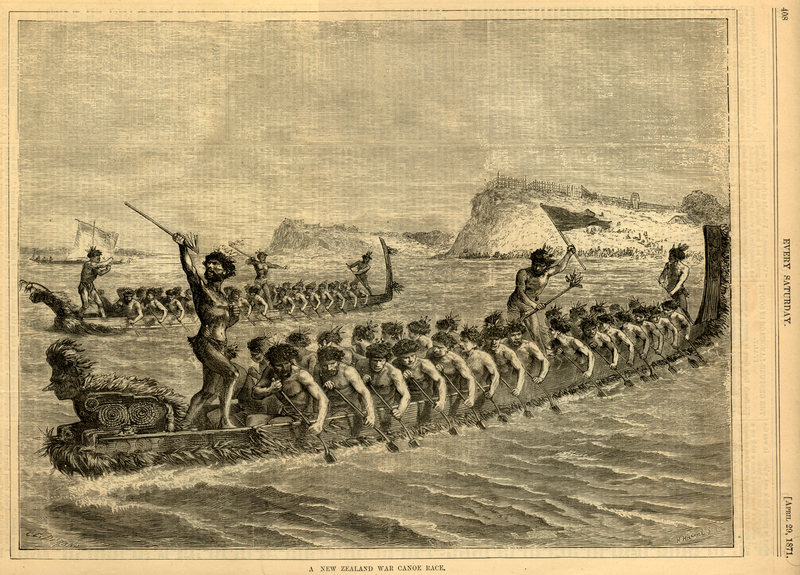 The Ho-kule’a even has a blog to track the voyage. This entry was posted in Environment, Paddling, Travel on 03/18/2007 by Thomas. Interesting little piece in Der Spiegel about Saigon’s last public letter writer employed at the central post office. 60 years on the job and he is the last of his profession, writing love letters, translating messages for the common man. This entry was posted in Travel on 03/12/2007 by Thomas.